The holiday season is here, and that means it's time to find thoughtful gifts for your loved ones. 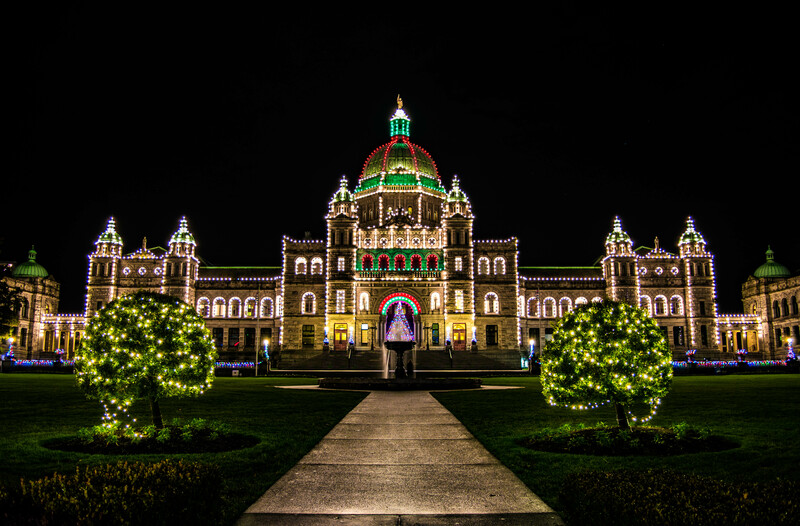 Don't worry, holiday shopping doesn't need to be stressful when you've got Victoria's charming boutiques and sprawling bookstores to choose from. 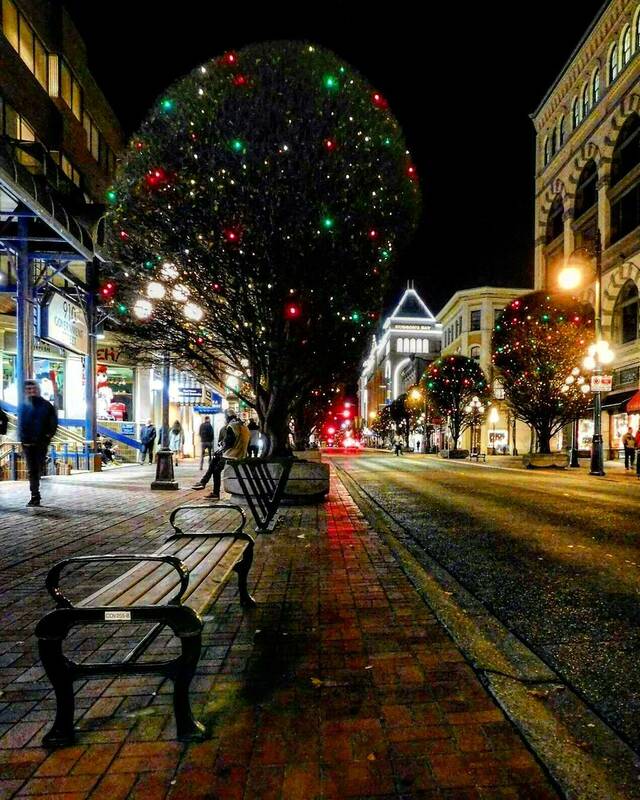 Fabulous Fort Street runs through the heart of downtown Victoria and is home to all kinds of shops and eateries. 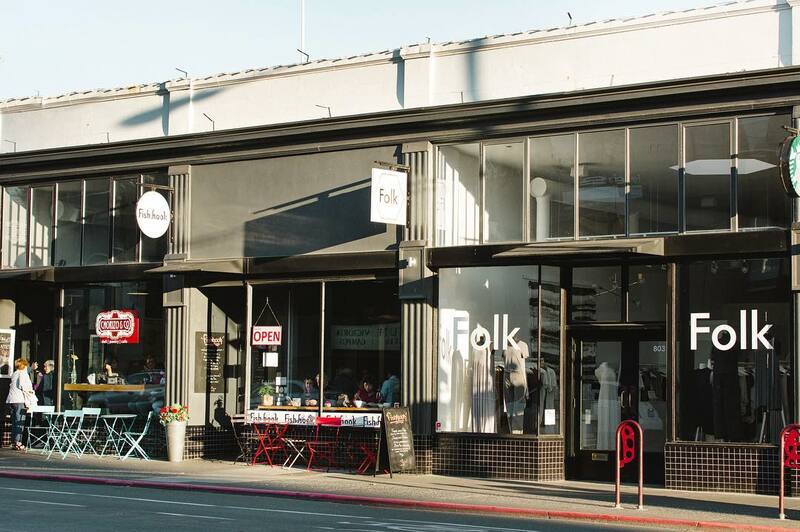 Once known for its auction houses and antiques, it's now buzzing with independent cafés, delis, bookstores, art galleries, bakeries, tech hubs and yoga joints. Stop in at Fort Properties block where you can find cool boutiques and restaurants like Chorizo & Co., The Livet Eatery, and Fishhook. Grab a sweet treat for your walk at The Dutch Bakery & Diner, then pick up a new or second-hand read from Russell Books. A book lovers' dream, you'll want to leave yourself ample time to explore this shop where the books are literally stacked floor to ceiling, three stories high. Visit Skanda to create your own custom piece with gemstones and beads. If you prefer to shop for jewellery online (or ship directly to the person you’re shopping for), visit the Wild Abandon Jewelery website. Lower Johnson Street (LoJo) is the place to go for trendy boutique shopping in a picture-perfect setting. Visit Baggins Shoes, which lays claim to having the largest selection of Converse shoes in the world. If you’re shopping for a friend with a vintage taste, check out The Patch Vintage Clothing for an amazing selection of second-hand clothing, jewellery, and accessories. You’re always bound to find something unique and well-loved! At the entrance to Market Square, you'll find Oscar and Libby's who specialize in gifts for the upbeat and offbeat. In other words, if you're after a tea infuser shaped like a guitar or an ice cube tray of sea creatures, this is the place to go. Cherry Bomb Toys is a one-stop shop for any nerd in your life. They've got a massive selection of comics, toys, games and more, so be prepared to have fun shopping and likely end up picking something for yourself, too! Tip: Don’t forget to ask them about Capital City Comic Con – returning March 2019! If you're looking to find a functional gift for an outdoorsy friend, look no further than Capital Iron or Valhalla Pure Outfitters. 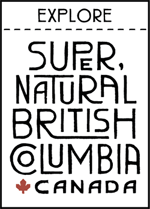 Keep an eye out for Cowichan Trading and Sasquatch Trading Ltd., where you will find authentic First Nations arts, crafts jewellery and moccasins. Make sure to visit Rogers' Chocolates. Established in 1885, this chocolate shop is an iconic heritage store and a must-stop location on any visitors' itinerary. 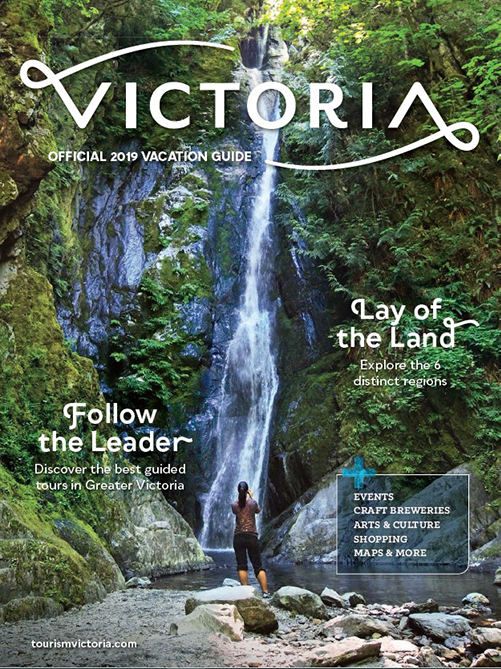 Pick up a few treats for yourself and grab a few Victoria Creams, the perfect stocking stuffers. 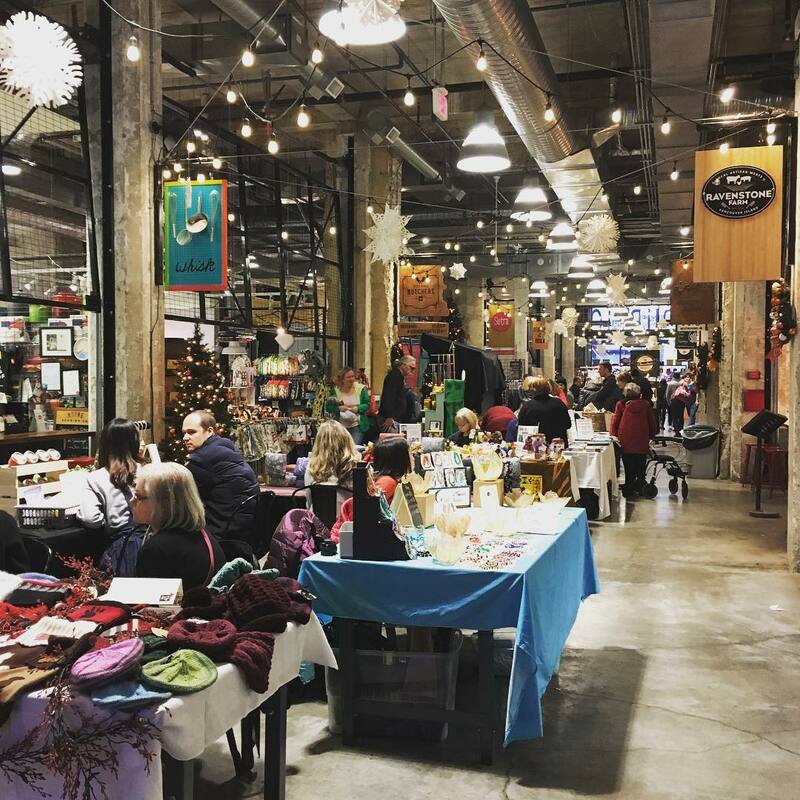 If you like to mix shopping and eating, get thee to the Victoria Public Market at the Hudson. Once home to an iconic department store, the ground floor of the Hudson building now houses a selection of permanent and pop-up artisanal vendors who sell everything from sustainably-produced hand pies to farm-sourced pantry goods. Try The Very Good Butchers for vegan options (think vegan sausage rolls, roast beef, burgers and more). 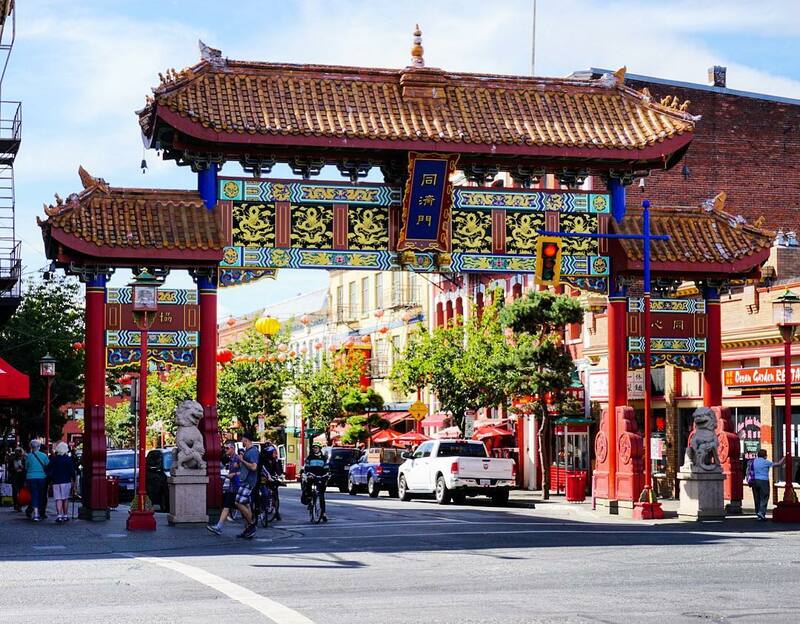 Victoria's Chinatown is the oldest in Canada and boasts a seriously intriguing past: from the rough and tumble days of the gold rush to whispers of ghosts and gamblers. 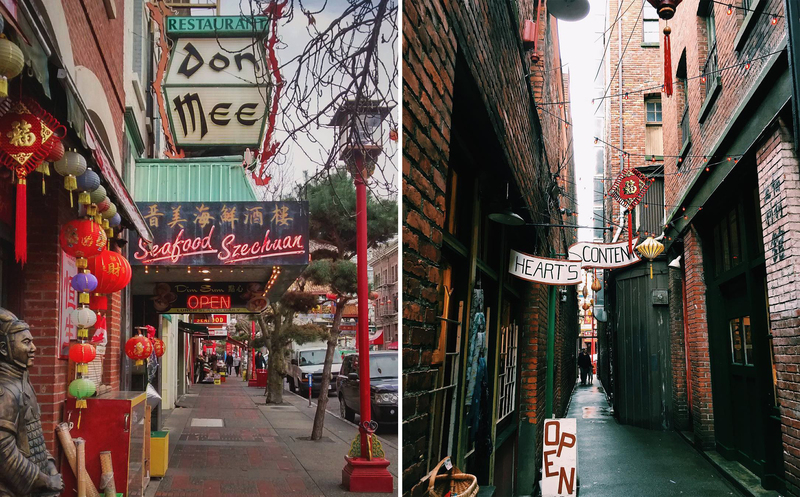 Fisgard Street is lined with fruit and produce vendors, restaurants and trendy galleries. A favourite spot for dim sum is Don Mee Seafood Restaurant. Silk Road Tea is a fabulous choice for Christmas shopping as you can choose from a selection of unique tea ware and hand-blended teas. You can't go wrong with longstanding favourites Angelwater (spearmint and rose petals) and Philosopher's Brew (lemongrass and lavender). Tip: The small tins of loose tea make for great stocking stuffers! Take a stroll down Fan Tan Alley, and make sure to have your camera at the ready. Not a metre wide in places, with soaring brick walls, it was once home to getaway passages and opium dens. A tad tamer today, you're more likely to find curious shops and one-of-a-kind boutiques, like the Umbrellatorium. 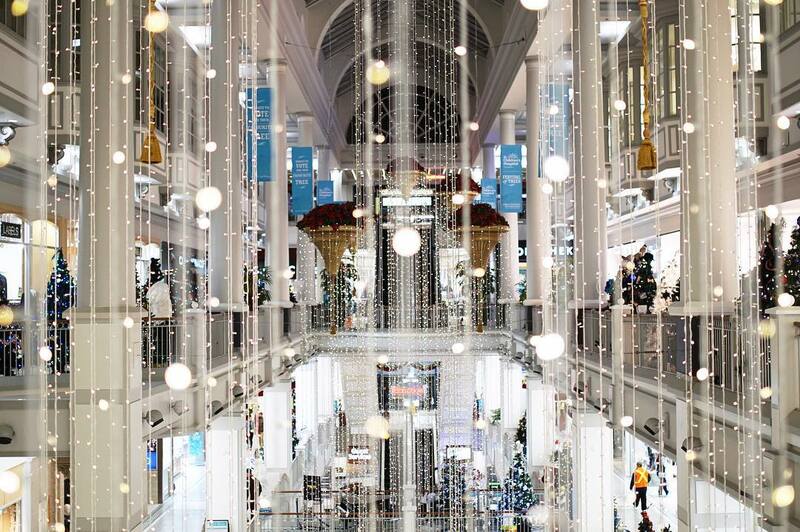 If you're after a one-stop shop, head to one of Victoria's shopping centres and department stores. In the heart of downtown, you will find The Bay Centre, which offers a large variety of clothing and jewellery stores, as well as a large food court. 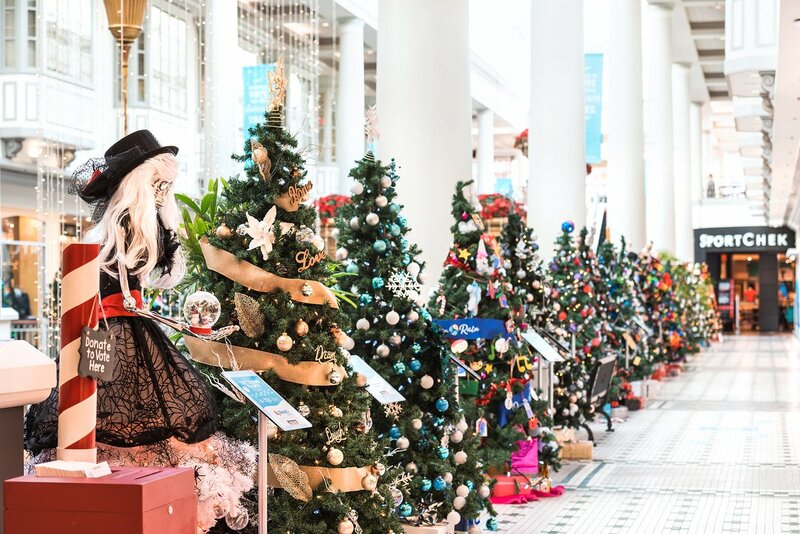 Tip: It also hosts to the annual Festival of Trees and is completely decked out for Christmas at this time of year. Go and vote for your favourite! Just outside of the downtown core are Mayfair Shopping Centre and Uptown Shopping Centre. 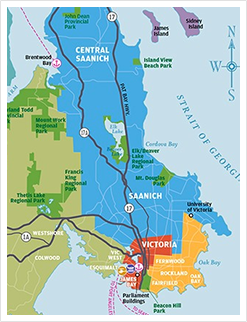 Both are located on major city arteries and feature lots of great clothing stores. Uptown is especially festive around the holidays; they've got a massive outdoor Christmas tree and thousands of twinkling lights throughout the plaza. Tip: If you're looking for a great stocking stuffer idea, consider tickets to the Dine Around Gala Launch! It's taking place on January 24, 2019.